It was cold – in the mid-40s – as we pulled off of the main highway to experience another slice of the “real Florida.” If you’ve never tasted oranges straight off of the tree, or savored orange juice fresh-squeezed on the farm where it was grown, this is a stop that you’ve got to visit if you ever get a chance. And did I mention homemade orange ice cream? That’s just part of what you’ll find on the latest episode of Miles and Smiles! As always, we eagerly look forward to your comments and questions. Next up: Tips on a Great Disney Experience. This week’s short video highlights some of our favorite stops while traveling around southern Florida. Whether it’s drinking a fresh, frozen pineapple drink in Fort Lauderdale, marveling at the lions, tigers, and other big cats at Big Cat Rescue in Tampa, discovering a bridge to be defended “at all costs” from the Second Seminole Indian War, or savoring a delicious donut, hot out of the fryer, you’re invited to join us as we cover the miles with smiles! If you think of “Disney” when you think “Florida,” then you’re missing the REAL Florida. 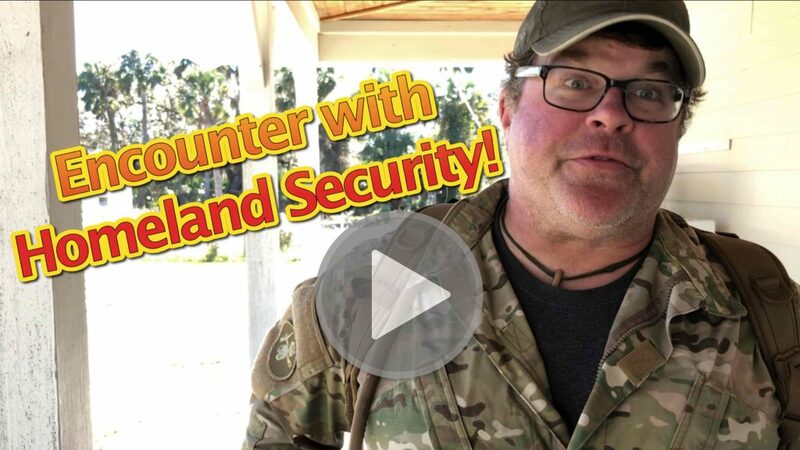 We hope you enjoy our latest video, which includes alligators, Homeland Security, a quick overview of different kinds of RV parks, cute dogs, a cat, and a swamp-buggy ride with our kids. It’s impossible to capture the beauty and diversity of Kissimmee Prairie in an eight-minute video, so here are a few additional things we think you might want to know. This 54,000 acre preserve protects the largest remaining stretch of Florida dry prairie, home to an array of endangered plants and animals. While driving the five-mile-long road into the preserve, visitors can enjoy sweeping vistas of grasslands reminiscent of the Great Plains of the Midwest. The preserve offers excellent seasonal birding opportunities and is home to the endangered Florida Grasshopper Sparrow, as well as the Crested Caracara and Burrowing Owl. More than 100 miles of dirt roads allow hikers, bicyclists, and equestrians to explore prairies, wetlands, and shady hammocks. * November through March, ranger-led prairie buggy tours allow visitors to see remote areas of the preserve. Kissimmee Prairie’s remoteness makes it one of Florida’s premier locations for stargazing. For overnight stays, the Preserve has two full-facility campground loops: family and an equestrian campground with paddocks. Proof of current negative Coggins test is required for all horses. While we were in the park we were able to take advantage of the dark skies to watch part of the Geminid Meteor Shower. Many of our fellow campers had elaborate telescope setups for even better stargazing. We and our kids were awed by how dark the night can be and how brightly the multitude of stars can shine without “light pollution.” Spectacular! 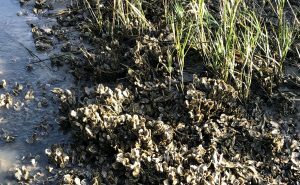 You should also know that the park is named for the Kissimmee River that runs through it, and is not near the city of Kissimmee, which is about 90 miles to the north (close to a two-hour drive). Yep, we learned that the hard way. You should also know that it is remote. REMOTE. About a 15-minute drive from the campground you’ll find one tiny store that sells essentials such as milk and eggs, soft drinks, and dusty “junk” that the widely scattered locals might need, such as screws, nuts, and bolts, and lots of stuff that nobody seems to have needed for a very long time. There is a small Mexican restaurant attached but it was closed for renovations. In other words, bring with you everything you’ll need for the length of your stay. The nearest Walmart is an hour away. The nearest hotel is 45 minutes away, and a second is over an hour. REMOTE. 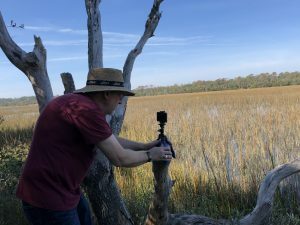 Kissimmee Prairie Reserve State Park offers a unique camping experience! We highly recommend a visit the next time you are in Florida. *Hammock is a term used in the southeastern United States for stands of trees, usually hardwood, that form an ecological island in a contrasting ecosystem. Hammocks grow on elevated areas, often just a few inches high, surrounded by wetlands that are too wet to support them. When driving a car, most of us rarely give much thought to how much it weighs. But when driving a full-size RV, knowing how much you weigh can literally mean the difference between life and death! 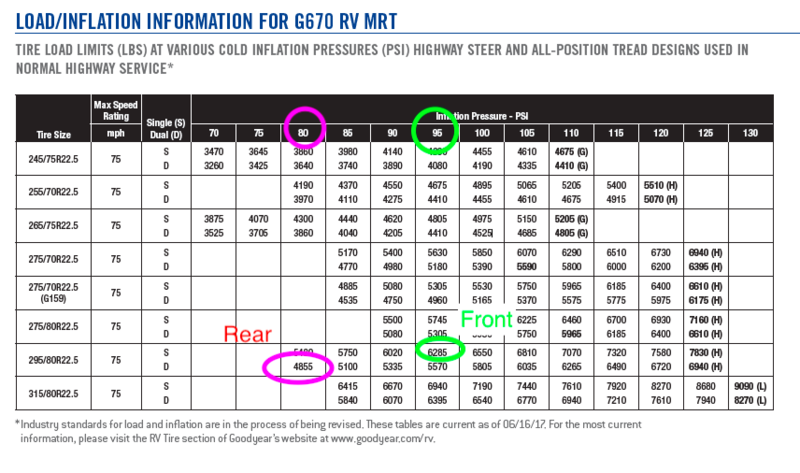 FYI: This is a somewhat technical post on RV weight and safety. If you’re an RVer, this is information you really need to know. If you just want to read about our travel destinations and adventures, we’ll have a new post up for you soon. Either way, we hope you’ll enjoy this short video! Every RV comes with a plaque that lists the maximum safe weight for the vehicle when fully loaded. In our case, the maximum is 22,000 pounds, or 11 tons! That’s a lot of weight. It also lists the maximum weight on each axle, and the maximum if you are towing another vehicle. GVWR – Gross Vehicle Weight Rating, the maximum weight of your vehicle, fully loaded CCC – Cargo Carrying Capacity GCWR – Gross Combined Weight Rating, the maximum total weight of your fully loaded vehicle plus anything that you are towing. The suspension/shock absorbers can fail, causing you to (best case) bottom out when hitting bumps in the road, or even (worst case) lose a wheel while driving at highway speeds. The brakes can fail by becoming overheated while trying to stop more weight than they can handle. The tires can fail, causing a blowout at highway speeds. And if your own vehicle doesn’t fail, what about that bridge you’re crossing with a six-ton weight limit? So, the first thing any RV owner should know is how much your unit weighs with everything you usually carry in it – because everything counts! For instance, our motorhome has a 100-gallon fresh-water tank. Water weighs 8.34 pounds per gallon, so when we have a full tank, we are carrying an extra 834 pounds in water alone! Gasoline is 6.3 pounds per gallon, so if our 75-gallon tank is full, that’s another 472.5 pounds. Now, add three dogs and a cat, two people, all of our clothing, food, tools, pots and pans, camping equipment, games, books, computers and electronics, bicycles and heavy-duty rack, and you can see how it all adds up very quickly. 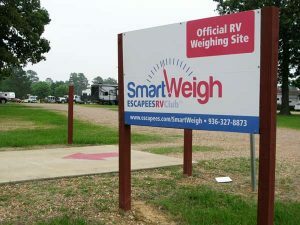 That’s why we made a detour during our trip to have our RV weighed at the Escapees “SmartWeigh” station at the Sumter Oaks RV park in Bushnell, Florida. The advantage of SmartWeigh over the scales in most truck stops is that it weighs every wheel, not just every axle, which can help you redistribute the weight in your vehicle as evenly as possible. GOOD NEWS! We passed. And we learned something new about our tires! Fully loaded, our rig weighed 21,200 pounds, leaving us 800 pounds to spare even when our three grown kids are traveling with us! Our front axle balanced out perfectly with 3,200 pounds on each wheel. The rear axle was close with 7,200 pounds on the right and 7,600 pounds on the left. So, what does this have to do with tires? I learned to inflate my car’s tires to the maximum pressure listed on the tire itself. But this is absolutely wrong! Each of the tires should be inflated according to the weight that its axle is supporting. On a car, the weight is low enough that you can usually just inflate the tires to the pressure listed on the sticker on your door (or in some cases, inside the gas door). On a heaver vehicle like a motorhome you should look to the chart that most tire manufactures post on their website, based on the weight each axle is carrying. This inflation based on weight will assure that your tires have just the right amount of tread in contact with the road for maximum life, drivability, and stopping power. In our case, this means that our four rear tires should each be inflated to 80 pounds when cold. The front tires need 95 pounds. Always fill your tires when cold! The heat of driving down the road causes the air to expand and can increase the internal pressure by as much as 15 pounds. The tire manufacturers take this into account on their recommend inflation charts. Comments? Questions? Please give your feedback in the comments below! There are 300 hours of videos uploaded to YouTube every minute, and most people discover new videos based on what YouTube recommends. YouTube decides which videos to recommend most frequently based primarily on how many people actively engage with the video when they watch it. This is measured by a) How often the video is watched, b) How long people watch before stopping or switching to another video, c) How many people take the extra step to give a “thumbs us” or a “thumbs down” after watching, d) How many people go the extra, extra step of leaving a comment – the longer the better. So, the growth of our channel is in your hands! If you enjoy a video, please give it a “thumbs up.” It only takes a second and makes a huge difference. Better yet, please leave us a comment or question. We promise to answer. Have an idea for a future blog or video? Please let us know. We are eager to please! Wow! When we started our trip south (back in November) we thought we’d be posting one blog and one video a week. Now it’s ten weeks later, and we’ve got so many great things to share. But for now, this blog/video is about our first day on the road! A day with a couple of dumb mistakes, and a bunch of great memories. 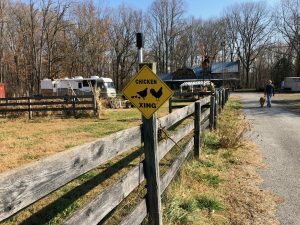 The scenery on the eastern shore of Maryland was so beautiful that we actually missed the turn into Cabin Creek Heritage Farm. Also, we had entered the wrong address—off by one digit is all it takes! So, for the first but not the last time, we had to unhook our car, turn the RV around in a driveway, and backtrack to the farm. 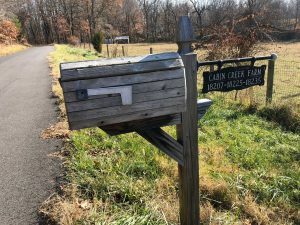 Cabin Creek is part a club called Harvest Hosts, a group of farms, wineries, and museums that offer free overnight stays to RVers. It’s $49/year to join, after which there’s no charge to stay for one night at any member property, and there’s no limit to how many places you stay. There are usually no hookups for water/electric/sewer, but most RVs are self-contained and that’s no problem. Even though campers are not required to buy anything, it’s been a great part of our experience to sample wines, cheeses, and other produce, and buy something that we’ll enjoy down the road. Building good, unique camping memories is a primary reason for staying with Harvest Hosts—as well as no fee. Each Harvest Host experience is different. The rural setting is gorgeous. Rolling hills and colorful woodlands are not what you’d picture just east of Washington, DC. And the rustic farmhouse, barns, farm animals, and grazing sheep create a serene setting for a peaceful overnight stay. The warm welcome and hospitality we received when we arrived, and throughout our visit, was very special. Lori and Doug Hill own and run the farm, along with help from their three grown children when they are able. We were also greeted by guinea hens, chickens and roosters, their dog, and a curious cat or two. Lori is very accustomed to talking about their farm, and spent half an hour explaining their method of farming and answering our questions. Some highlights of our conversation are recorded on the video. The most fascinating aspect was how the woodland pigs are raised, fed, and mated. They are given as natural a life as possible while being organized into age-groups to eventually become tasty meat. They don’t name the animals (except for the boar and a couple of sows, whose main jobs are mating rather than becoming meat. Nice job if you can get it!) or it would too hard to say goodbye; it is a business, after all. 3. 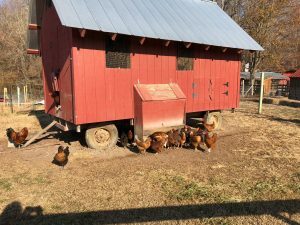 They welcome groups throughout the year for visits to their farm—from schools, colleges, senior centers, and more—and are committed to educating others about eco-friendly farming methods. That being said, the meats at Cabin Creek were so inviting that we ended up buying over a hundred dollars’ worth! Although camping was free, it has ended up being our most expensive stay! 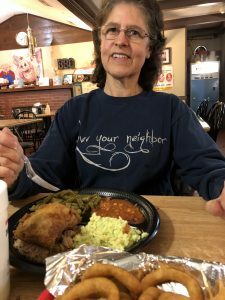 Of course we enjoyed our meats, chicken, bacon and sausage, and eggs for many meals to come and were reminded each time of our wonderful visit to Cabin Creek. By the way, Lori offered to run an extension cord from their barn so that we could, in fact, have electricity for the night, which we graciously accepted. When we asked what time we needed to leave, we were told we could stay as long as we want. I suspect we could have even stayed another night, but as much as we hated to leave, we were eager to keep moving south, and Harvest Hosts discourages club members from overstaying our welcome. Before we left, we were curious about their house, and Lori gave us a little tour. 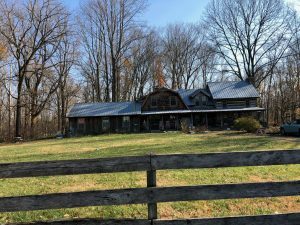 The original house was facing sideways, so they had it turned ninety degrees, and then moved a log cabin up from Tennessee and connected the two. We were delighted to discover a wall hanging that mentioned God and to learn that they are faithful Christians and that their passion for sustainable farming grows from their dedication to caring for God’s creation. We loved Cabin Creek Heritage Farm and would definitely stay there again. RVing is an adventure, and this was a great way to begin our trip. Stay tuned for highlights of our journey, both good and bad, coming up soon in our blogs and vlogs. We know we are way behind, but hope you will join us as we travel and explore. We’d love to hear your comments and questions. Please subscribe below if you’d like to get an email when our next blog or video is published. Remember: Life’s a journey. Make every mile count! If you happen to join Harvest Hosts, please let them know that Jeff & Kathy Wildrick sent you. Whether you’re single, a couple, a family with kids, or a group of friends, renting an RV is a great way to see America (and Canada). And if you’re thinking of buying an RV, renting is the best way to get a feel for the RV life and learn which features matter most to you before you make a major purchase. 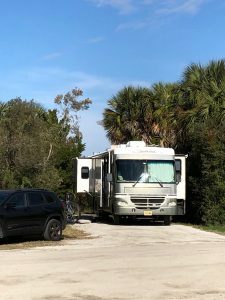 Although there’s a lot of advice about renting and vacationing in RVs on the Internet, we discovered that no one place told us everything we needed to know—especially as newbies. So, after countess hours of surfing the net to plan several rental vacations, we literally “wrote the book” on RV rentals! Here are six of our top tips from The Complete Guide to Renting an RV. Check out local and independent options. Most of the RV rental industry is dominated by one company: Cruise America. They have the largest fleet with the most locations (130 at the moment), and their motorhomes are custom built for the rental market. The RVs have fewer frills than other companies offer, but they are solidly built and chances are you live near one of their dealers. Not bad choice by any means. By doing a little comparison shopping, you may save money and get a nicer rental RV for your vacation. 2. Choose the smallest RV that will meet your needs. You may be surprised to discover that it’s not as simple as: the bigger the RV, the more people it can sleep. Layout and design matter. 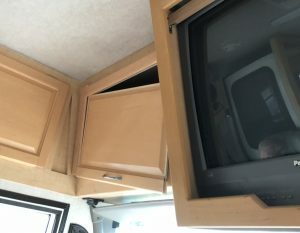 And while a 40-foot RV will certainly have more interior living space than a smaller one, one or two slide-outs in a smaller RV can make a big difference. Well maybe not this small! Also keep in mind that a smaller motorhome will fit into many more RV campsites than a larger one—and expand your camping possibilities. And the smaller it is, the easier it is to maneuver and park. You might be able to find street parking (picture two spaces two together) near that restaurant you want to try or more parking options in a museum’s parking lot. In all likelihood, you won’t be towing a car on your vacation, so the ability to drive and park a smaller RV can be a game-changer. Of course, it will cost less to rent a smaller RV than a larger one. Know your own needs, however, and rent what you think you’ll be happy in for the length of your vacation. Just remember that the outdoors will be your backyard, and you probably won’t want to hang out in your RV all day! 3. Make a video of your orientation. When you pick up your rental RV, you should be given a thorough tour and orientation. Expect this to take up to an hour. They will show you where everything is and how everything works. It’s a lot to remember, and in the early days we sometimes didn’t take advantage of some great features simply because we forgot they were there or how to use them. This never needs to happen to you. When the orientation begins, simply take a video of the entire presentation. Then, when you can’t figure out how to work the awning, for instance, you can just pull up your video and watch it demonstrated again. After all, you don’t want this to happen! A bonus to taping the orientation is that you will also be documenting any preexisting damage so that you don’t have to pay for someone else’s mistakes. The rental company should have accurate records of the RV’s condition for you to sign off on. Just make sure that all preexisting damage is noted before you drive off. And remember your video recording if you encounter any problems upon return. Above all, drive safely and carefully! 4. Bring some frozen meals with you. RV kitchens are small. And while you can cook almost anything you need to in an RV, why spend more time in the kitchen than you have to? You’re on vacation, right? We try to cook and freeze a few meals at home before we travel. Then we can just heat them up the microwave or even on a grill with no fuss and no muss. When you go to a campground’s website, you might find some great pictures of the beautiful campsites and surroundings. It looks like you’ll be just a few steps from the beach, or nestled in the middle of nowhere. Imagine your disappointment when you find that those photos have been carefully cropped to avoid showing the highway—or the railroad tracks, or the industrial plant—only a hundred yards away. In fact, some of the website photos might be of nearby attractions instead of the campground itself. This isn’t to imply that all websites are this devious, just that you should choose wisely—and not go by the website itself. 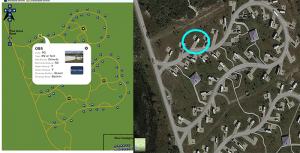 We like to use the satellite-view feature of Google Maps to see an actual, unbiased look from above, not only of the campground but also of the surrounding area. You can see which campsites have the best—or worst—locations, and you can see whether the RVs are packed together like sardines or spread out like fish in a pond. Huh? You get the idea! You can’t always get a spacious, private campsite in the woods, but it’s better to know ahead of time than to be surprised. Read The Complete Guide to Renting an RV. 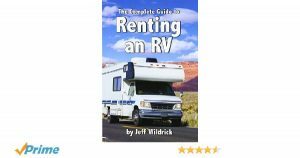 The first five tips above are only a sampling of the useful information you’ll find in our little book, The Complete Guide to Renting an RV. We wrote this book not to earn a ton of money (which we certainly don’t) but to help you more easily plan your RV rental vacation. The book will help you choose the RV that’s best for you (Class A? Class C? ), find campgrounds or parks that best suit your idea of a great vacation, and plan an RV-friendly itinerary. You’ll also find tips on what to pack, how to drive an RV, and how to dump the sewage tanks and still end up smelling like a rose! The book is available in both Kindle and print versions exclusively on Amazon, and if you’re a Prime member, you can download it for free. And would you do us a special favor? After your vacation, please go back on Amazon and leave a review of the book and how it helped you. Most people decide whether or not to buy a book based on what other reviewers say about it. If you found our book helpful, you can help others plan a better RV vacation by letting them know. Please leave your comments and questions, as well as your own favorite tips below, and we’ll see you on the road! Happy RVing! Here are five great gift ideas, for Christmas or otherwise, that can make RV travels easier, safer, and more fun! We have and love them all. For the sake of ease, we are listing these from least to most expensive. Driving in an RV is like putting your house through an earthquake. Everything that’s loose is going to fly—and there are plenty of loose things in a bathroom! What’s more, most RV showers are quite small, with little or no safe storage space for bottles of shampoo, conditioner, or soap. 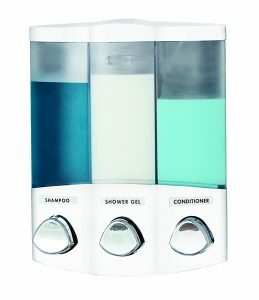 Our solution is this 3-chamber soap and shower dispenser securely mounted to the shower wall with command strips (included). Just like that we have three fewer things to put away before hitting the road, plus we avoid those unsightly bottles and dirty soap bars littering the shower floor. One of the great benefits of traveling in an RV is enjoying the great outdoors, and one of our favorite ways to do that is by grilling and eating outside. Most RVers don’t carry charcoal grills because they are bulky, messy, and even dangerous if the coals aren’t completely extinguished. Portable gas grills are the way to go, but they typically use expensive little canisters that always seem to run out at the worst moments. Most RVs have a built-in propane tank for running the stove, heat, and refrigerator. 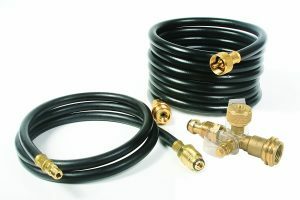 You can hook right into the RV’s propane with this Camco Propane Brass Tee, which is T-shaped and easily screws on between your RV propane tank and your grill regulator—no special tools required. Now you can use the propane supply you’re already carrying to power your grill. Imagine you are camping and run out of propane. (It happens!) 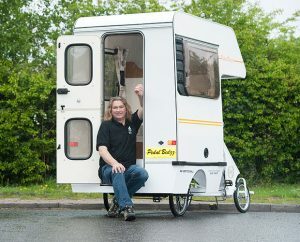 You could break camp, batten down everything in the motorhome, and drive somewhere to refill the built-in tank. But instead, picture just attaching your “emergency” 20-pound tank of propane (the kind you use for your grill at home) to the Tee fitting and powering your rig with that spare propane until you can get the RV’s propane tank refilled. A popular brand of this propane adapter is called Stay-a-While, but we found one made by Camco that’s less expensive and works just as well. Let’s face it, cooking on an RV gas range can be a challenge. The flames can be difficult to regulate, there’s not much room, and you’re consuming your valuable propane. Whenever we have electric hookups, we keep the gas range covered to give us more counter space and cook with our NuWave induction cooktop. We haven’t yet but could easily run an extension cord and use it outside, too. 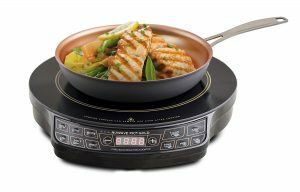 Induction cooking is faster and more even than cooking with propane, and since you’re already paying for electricity at your campsite, why not use it! You may have heard that induction cooktops require special pans, and that’s true, but it’s not a big deal. An induction cooktop heats your pan with a magnetic field, and this means that the bottom of your cookware must be iron or steel. If a magnet sticks to it, it will work. The skillet that comes with this cooktop is well-made, versatile, nonstick, and easy to clean. We use the NuWave skillet plus a saucepan from home. You can set the cooktop to a specific temperature. It’s easy to make small adjustments until the heat is just right for what you are cooking. You can easily adjust the amount of power it uses, which is especially helpful when you’re running other appliances in the RV and don’t want to flip a breaker. It is light, more compact than many others, and easy to store, plus there’s a carrying case available if you want one. One of the few downsides of living in the great outdoors is bringing the outdoors indoors on your shoes (or your pet’s feet). And since RVs are such small living spaces, a little dirt can make a big mess in almost no time at all. Listen, there’s nothing particularly romantic about vacuum cleaners, but a good one can make your camping experience much more pleasant, which is why we think this is a great item for your gift list. 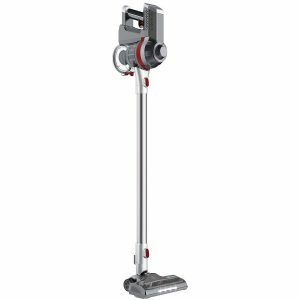 It’s light—significantly lighter than similar vacuums we tested—and compact. It’s battery-powered (and rechargeable) so you aren’t dragging a cord around with you when you vacuum. It has plenty of suction power and does a great job with pet hair—particularly important to us since we travel with three dogs and a cat. It has a HEPA filter, so it won’t spread allergens around the RV. It can be used either as a stick or hand-held vacuum, and comes with three attachments. The battery is strong enough to clean our entire 37-foot RV. It’s less than half the price of the famous brand you see advertised on TV. 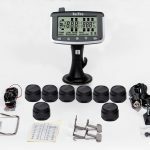 It might sound a little crazy to pay hundreds of dollars for a tire-pressure monitoring system, but this RV accessory is all about safety and more than paid for itself the very first time we used it. Getting a flat tire in a motorhome is no joke. 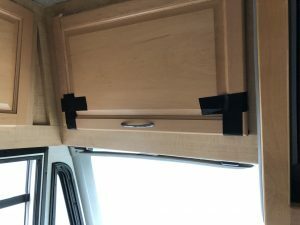 Literally days after we installed the EEZTire system on our motorhome and tow vehicle, we were driving across Pennsylvania Jersey when the monitor started sounding an audible alarm. A quick check of the monitor mounted on our dashboard showed that the right front tire on our RV was losing air. By the time we found a place to pull over, the tire had gone from 85 to 25 pounds of pressure—yet it still felt just fine while driving. It turned out that the valve stem on that tire had failed, and if we had kept driving, we could have experienced a catastrophic blowout at highway speeds! We thank God that didn’t happen, and Jeff is glad that Kathy convinced him to install the tire pressure monitoring system sooner rather than later. Our RV has six tires, and we mounted monitors on the two front tires and the two rear outside tires. We also decided to put monitors on our four car tires so we can make sure they’re okay while towing. The monitoring screen can be moved to your car for day trips if you’d like. Better safe than sorry. Would you like to know more about any of these gifts? Do you have other gift ideas you’d like to add? We’d love to hear from you! Please leave a comment below. Looking for an ideal place for camping, biking, hiking, kayaking, or just wandering through quaint little shops in a village nestled in the mountains? We discovered such a place a few weeks ago, just an hour-and-a-half southeast of Pittsburgh: Ohiopyle State Park. Strange name, right? 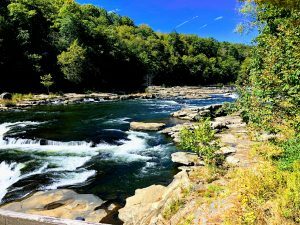 The name Ohiopyle derives from the word ohiopehha, meaning “white, frothy river”—a good description of the Youghiogheny River as it passes through the 19,052 acres of forested park in the Laurel Highlands of Pennsylvania. We enjoyed several gorgeous autumn days in this park, and would recommend it to everyone who loves mountains, rivers, and fresh country air. 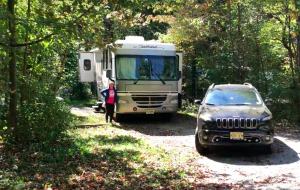 We drove to western PA in our 2004 Fleetwood Southwind RV, towing our new Jeep (not our VW). 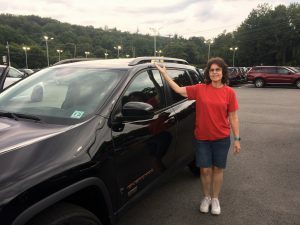 Why a new Jeep and not a VW? Thanks for asking. After the debacle of trying to tow our VW Jetta Wagon on a lightly used tow dolly we had purchased (for the near-disastrous results, check out our Vlog “If Anything Can Go Wrong…”), we bit the bullet and purchased a new Jeep Cherokee Latitude Active Drive 2 (essential for four-down towing, which means all four wheels on the road rather than just the two rear wheels). 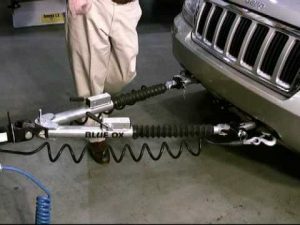 We then had the Jeep outfitted with a Blue Ox towing system, which is an impressive set-up of tow bars, hitches, wiring, safety chains, and a gizmo that activates the car’s brakes when you hit the brakes in your RV. 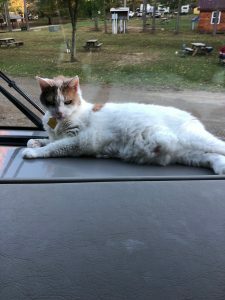 After connecting the Jeep to the tow bars mounted on the RV, we have to disengage its transmission (a process involving 19 simple but essential steps that must be done in the correct order). If all is done correctly, we’re ready to tow and go. The towing itself is pretty easy, as the car just follows the RV. If the RV makes a turn without a problem, so will the Jeep. Backing up is another story . . . If you want to tow a car (called a “toad” because it’s towed, yeah), it’s not quite as simple as hooking it up and heading off. Some cars can only be towed four-down, others only two-down on a tow dolly, and the rest not at all. You need to check each vehicle’s manual, and double-check with the dealer, to make sure you have the right car for your needs. 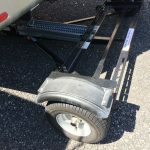 Most tow dollies are cheaper than tow-bar systems, and both have their advantages and disadvantages. You’ll need room to store your tow dolly on your campsite. 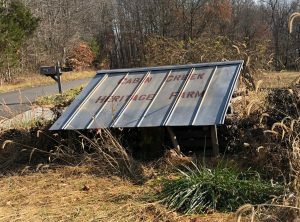 It can usually be tucked in under the front or back of an RV and be mostly out of the way. It’s heavy enough that you don’t want to have to maneuver it too far, however. And a dolly adds to the weight you are already pulling. A towing system is twice as expensive. Your car needs to be positioned correctly in order to attach and detach the tow bars. And you have to disengage your transmission correctly, according to the manual’s directions. But when not in use, the tow bar folds up right on your RV and is out of the way. Both work, so it depends on the car you already have, or how much you want to (or can) spend to get ready to tow. There’s usually no right or wrong, just what best suits your needs. Of course for us, the tow dolly was wrong. Wearing their seat belts, of course! Anyway, on a bright October morning, we headed west on Interstate 80 through the Delaware Water Gap and across the beautiful state of Pennsylvania (our home state, so we’re a bit prejudiced), its mountains aglow with the colors of autumn. “We” in this case was the two of us, plus our three dogs (Tucker, Mitzi, and Oliver) and our cat (Cali). 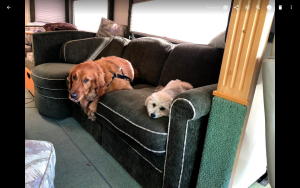 The pets have all adjusted well to RV life, the dogs buckled up in safety harnesses and the cat in her crate when on the road. Our trip was about 8 hours, or 260 miles. (It was supposed to be shorter, but for some reasons, our GPS detoured us through the hills—and we mean lots of hills—of Maryland.) An 11-ton RV towing a 2-ton car uses a lot of gas (we get 7-8 miles per gallon). When our gas tank was getting low, Kathy used the iExit app and found a truck stop ahead, where we hoped to (1) get gas, and (2) take a short break to get coffee and walk the dogs. Not as easy as it sounds! The pumps were all diesel (we take regular), and all the truck parking spaces required us to back in (which is difficult to impossible when towing a car). So we drove around the building to what we assumed would be the exit, but it wasn’t! Instead, our way out was blocked by a heavy chain suspended between two cement posts. The trucks exited the same way they entered after fueling up, but since we bypassed the pumps, we were stuck, with no way to turn around without unhooking the car and doing an eight-point or more turn. While Jeff held his breath (but kept taking video for our YouTube channel—see above), Kathy found an employee and explained our dilemma. Much to our relief, he readily unhooked the chain, as he’s done for other RVs, so that we could make our escape and fuel up elsewhere. Lesson learned. From now on, we’ll also check Gas Buddy to see if the truck stop has regular gas as well as diesel. By the way, many gas stations cannot accommodate an RV because of the position of their pumps and the amount of space available to enter and exit. Google Earth can sometimes help us see if a gas station will be accessible for our 37-foot Class A motorhome. When we finally arrived at the park, we were delighted to see that our campsite was large, level, and shaded by an array of colorful trees. Awesome! The park has a new welcome center overlooking one of the waterfalls on the Youghiogheny (pronounced Yuck-a-gain-ee, and locally referred to as the “Yuck” or “Yuk”). Our plan was to do some biking, but it was impossible to resist the urge to walk through the tiny but quaint town of Ohiopyle, enjoy some iced coffee, and just sit and watch the river for a while. Eventually we headed out on the Great Allegheny Passage, a 150-mile groomed “rail trail” connecting Pittsburgh to Washington, DC. 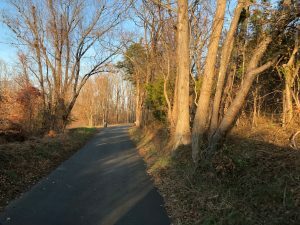 We love riding on rail trails (former railroad beds turned into biking and hiking paths) both for the amazing scenery and the fact that you rarely have to ascend more than a 2% grade! We rode only a few of the 150 miles before heading back to town. The next morning we woke up to the sound of rain on the roof of our motorhome. Kathy actually woke up several times during the night because the rain was so heavy and LOUD. Jeff, with his hearing aids on the shelf beside the bed, slept soundly through it all. 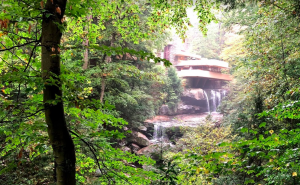 A rainy day isn’t great for outdoor activities, but a short drive away was Fallingwater, one of the famous houses designed by Frank Lloyd Wright. Built as a weekend home for the wealthy Kaufmann family of Pittsburgh in 1935, this architectural wonder of concrete and steel extends over a waterfall on Bear Run Creek. Eventually donated to the state, guided tours run year-round, and it’s definitely worth your time to visit, even on a rainy day. (Ironic that we visited Fallingwater on a day when water was falling from the sky, right?) The place is well run, and if it rains, they even supply umbrellas! Clearly neither one has aged a bit! We wished we could have stayed in Ohiopyle longer, but we had to batten down the hatches, hook up the Jeep, and head northwest to Jeff’s alma mater, Geneva College, for homecoming weekend and a reunion of the “Eight Bells.” The Eight Bells is a barbershop double-quartet Jeff sang with in college (and it’s still going strong 38 years later). Highlights of the weekend included spending time with Jeff’s college roommate Ron and his wife, Robyn, watching the Golden Tornadoes win an exciting football game, and a concert featuring current and past members of Eight Bells. 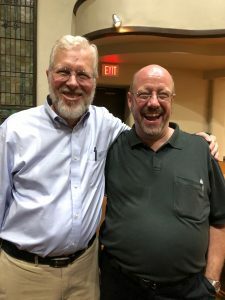 Jeff was thrilled to be able to perform a few numbers with fellow Eight Bells members over the years—a great walk down memory lane! And please, be sure to post your questions and comments below!